So you want to start a build-to-order business? Occasionally, we are contacted by entrepreneurs who are considering embarking on a new build-to-order business. Most of these inquiries are considering a business making some kind of outdoor structures, like sheds, tiny houses, modular homes, cabins or something similar. They have seen one of our 3D product configurators on a website and are eager to explore the possibility of doing something similar. Of course, these people are quite varied in their preparedness for such an endeavor. Some have little experience but are passionate about the idea and others are fresh off a business success and ready to apply what they have learned. Regardless of the background, the vast majority of these business people see the power of a configurator to improve the buying experience of a building for the consumer while making it more effective and efficient for them as the vendor. This is true and the vendors that embrace this kind of engaging buying experience will clearly differentiate themselves from the other vendors in their industry. 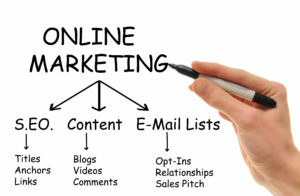 However, it is not the only piece in the sales puzzle for acquiring customers on the Internet. We want to see our customers be successful and therefore we work with them to shore up and weak areas of their online sales and marketing. If you start with a well balanced plan, then you will increase your chance of early success. Here are a few categories of things you want to consider when launching your Internet presence. There are, of course, many other areas of investment when building an Internet build-to-order business but these are a few that you want to be sure to consider investing in at an appropriate level. The key is to invest in a balanced way. Think of your Internet presence like a high-performance car. If you overly invest in the engine but the rest of the car is not up to the task, you will not win the race. So be sure customers can find you, can understand you and will be engaged and compelled by your offer.